According to Turkish media, Fenerbahçe offered German coach Joachim Löw the top job having parted ways with head coach Ersun Yanal. 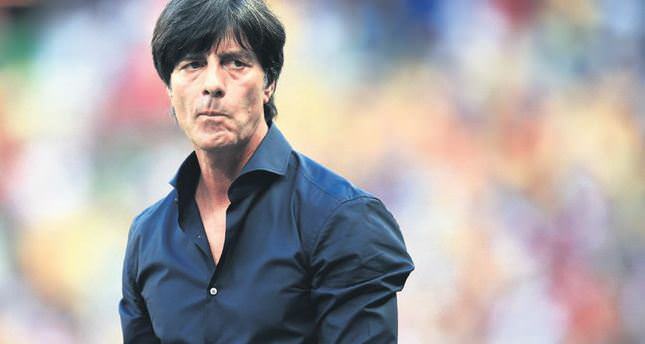 However, Löw was quoted as saying Germany's Chancellor Angela Merkel would not let him join the Turkish champions. Löw's contract with the German Football federation was extended after winning the 2014 World Cup title. The 54-year-old spent a year coaching the Turkish giants in 1998. From December 2000 to March 2001, Löw returned to Turkey as coach of Adanaspor, but he was again dismissed due to poor results. In the meantime, it is believed that Shakhtar Donetsk's manager Mircea Lucescu also refused Fenerbahçe's top managerial position. Under Lucescu's managership, Galatasaray qualified to the quarter-finals in the UEFA Champions League in the 2000-01 season. Shortly after his departure from Galatasaray, in June 2002, he signed a contract with rivals Beşiktaş. They won the Turkish title under the Romanian. Under these circumstances, the Fenerbahçe administration has considered giving the job to Ersun Yanal's assistant coach İsmail Kartal. Fenerbahçe's players also want Kartal to be head coach. Ersun Yanal resigned from his post after having difficulties with Chairman Aziz Yıldırım.